Your furry friends are finally getting acknowledgment that they're not just an important part of the family -- they're also an essential part of your photo library. Google (GOOG) announced on Monday its Photos service can now recognize pets. Users will be able to see pictures of animals grouped alongside people, and your pet can be labeled and searched for by name. This means you no longer have to type "dog" or "cat" into Google Photos' search function. The update rolls out in most countries starting on Monday. While the app can distinguish a Golden Retriever from a Jack Russell Terrier, it seems to have more difficulty telling apart animals of the same color or breed. For example, when tested by CNN Tech, the app thought five distinct Westies were all the same dog. It also grouped different gray shih tzus together and included a photo of a gray bunny in that cluster, too. 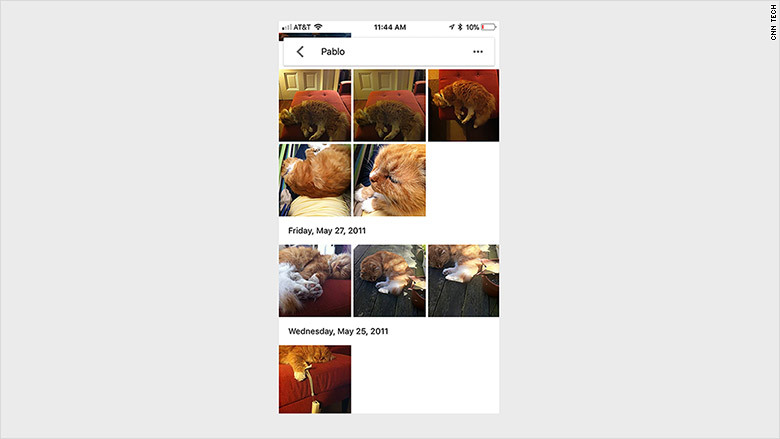 However, the app nailed photos of an orange tabby cat (who's named Pablo, by the way). "If you have a number of pets that are the same breed and look quite similar -- such as a few yellow labs -- you might need to help Google Photos by removing photos of a mis-grouped pet, so the app can tell Lassie from Fido," a Google spokeswoman told CNN Tech. The free photo-sharing service, which launched in 2015, automatically organizes your photo library, such as grouping pictures by place or person. It has unlimited storage for compressed photos and a paid option for full-sized images. 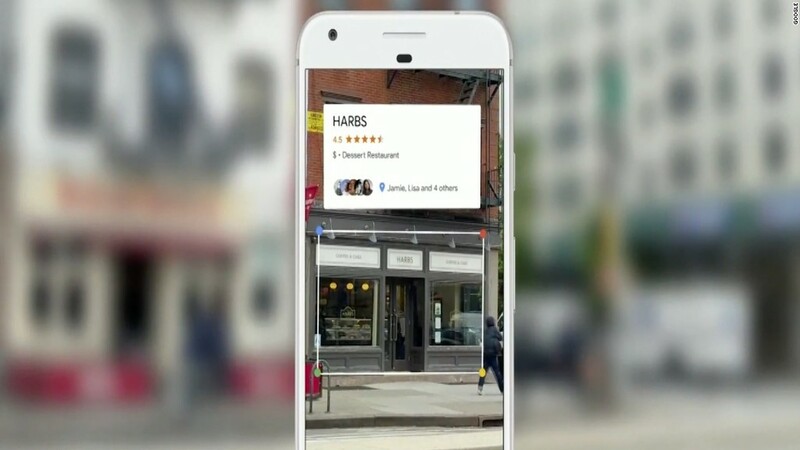 Earlier this year, Google Photos unveiled several new features, like the ability to print photo books and to automatically share some or all of your pictures with a significant other or friend.